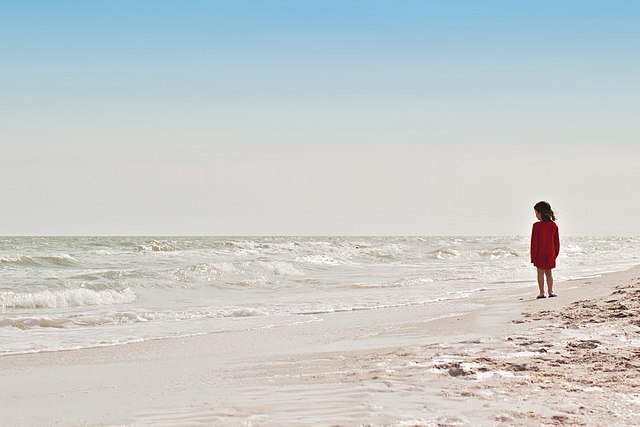 "I do not know what I may appear to the world, but to myself I seem to have been only like a boy playing on the seashore, and diverting myself in now and then finding a smoother pebble or a prettier shell than ordinary, whilst the great ocean of truth lay all undiscovered before me." Sir Isaac Newton (1643-1727) had one of the greatest minds in history, and is credited with numerous extremely important and influential discoveries, from the mathematics of calculus to formulating the law of gravity. While the above quote’s attribution to Newton is tenuous, its sentiment is true to Newton and to so many other scientific explorers throughout history. There is always a seemingly infinite amount of knowledge just beyond our grasp, and those who seek to answer fundamental questions about our universe are confronted with an endless sea of new questions. The solo oboe portrays a naïve and wide-eyed scientist disembarking on a journey of discovery. Through three movements, the protagonist visits varied musical landscapes representing three of Newton's seminal discoveries. The first movement, Principia, is named after Newton’s publication in which he first describes the three laws of motion. These fundamental concepts describe how inertia works, how momentum works, and how the relationship between action and reaction works. This movement is inspired by the second law, which states that the acceleration of an object is directly related to force applied to it. Starting at a slow and plodding pace, heavy chords in the brass and percussion set the stage for the solo oboe to play a gradually unfolding declamatory melody. As if encouraged by the oboe, the ensemble very slowly gains speed over the course of several minutes. As waves of momentum build, the music changes character, from ponderous to effervescent to expansive. The second movement, Colour Theory, is inspired by Newton’s fascination with the nature of light. He was the first to understand that the white light from the sun actually contained light of all the different colors of the rainbow. Opening with a shimmering array of triangles and metallic instruments, the soloist emerges with a rhapsodic melody. As if light painting (the use of long exposure photography to create lines, shapes, and whole works of art using a light source as a figurative paint brush), the ensemble creates a slowly fading glow around all of the pitches in each of the soloist’s gestures. Intrigued by the harmonic effect trailing every note, the soloist continues to experiment with wider arcs and more dramatic curves. A new, simpler melody emerges, starting in the flutes and vibraphone and gradually descending through the ensemble to the brass. The soloist responds freely, never quite imitating the new melody itself. Only after a grandiose climax and a resolute return to the light painting texture does the solo oboe sing this second theme with a tender but sparkling accompaniment. The final movement, Gravitas, is inspired by not only Newton’s famous formulation of the law of gravity when he supposedly was hit on the head by a falling apple, but also by his unusual religious beliefs. We all experience gravity continuously. It is what holds us onto the earth, and it is a force of inevitability. If we throw an object in the air, we can instinctively predict what path it will follow until it falls back to the ground. Isaac Newton was the first to formulate why this happens, changing the way we understand the universe ever since. This movement begins like a scherzo, quick and light. Every ascending line eventually crashes back down with a punctuated four-note rhythmic gesture. It is a test of the soloist’s agility and endurance until a hymn begins to be heard in the distance. 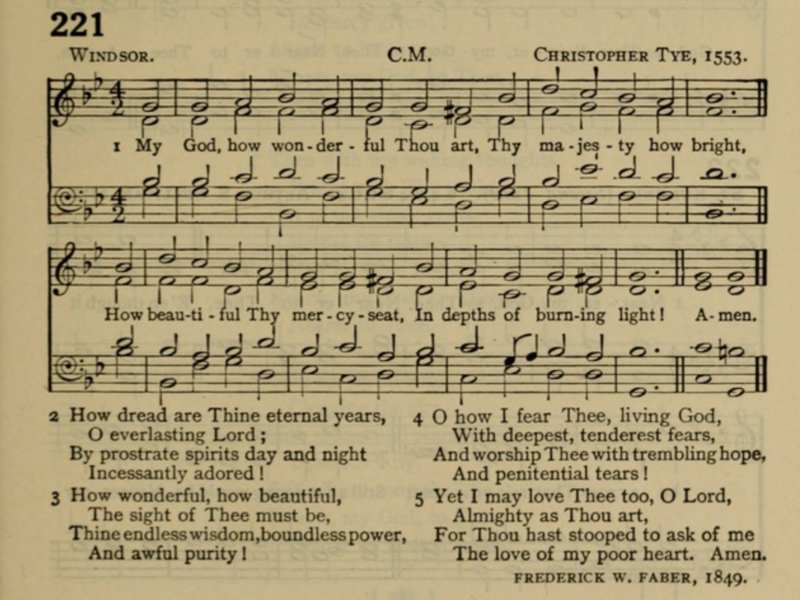 This hymn by the English Renaissance composer Christopher Tye, "Windsor," could have potentially been heard during services in Newton’s day, and its treatment in this piece creates a metaphor for Newton’s religious views. He grew up an Anglican, but his religious views were not aligned with the Church of England, and he was considered by some to be heretical. Every time the Tye hymn is heard, it is distorted in some way. The first time, after the brass have already played two phrases, the winds begin the hymn late, clashing with the brass, while the soloist contrasts it by obliviously continuing the scherzo-like passages. The second time it is heard, it becomes fragmented and so cluttered with dissonance that it dissolves into chaos. The final time, each phrase of the hymn is interrupted by the following phrase to create a cascading acceleration until finally the soloist and the ensemble come together and agree momentarily, joining each other at the peak of the chorale before it inevitably falls back down to earth. Ocean of Undiscovered Truth was commissioned by a consortium of 15 wind ensembles, led by John Climer and the University of Wisconsin-Milwaukee. The premiere, with oboist Katherine Young Steele and the UW-Milwaukee wind ensemble, took place on April 12, 2019. Copyright © by Roger Zare Music, ASCAP. All Rights Reserved.